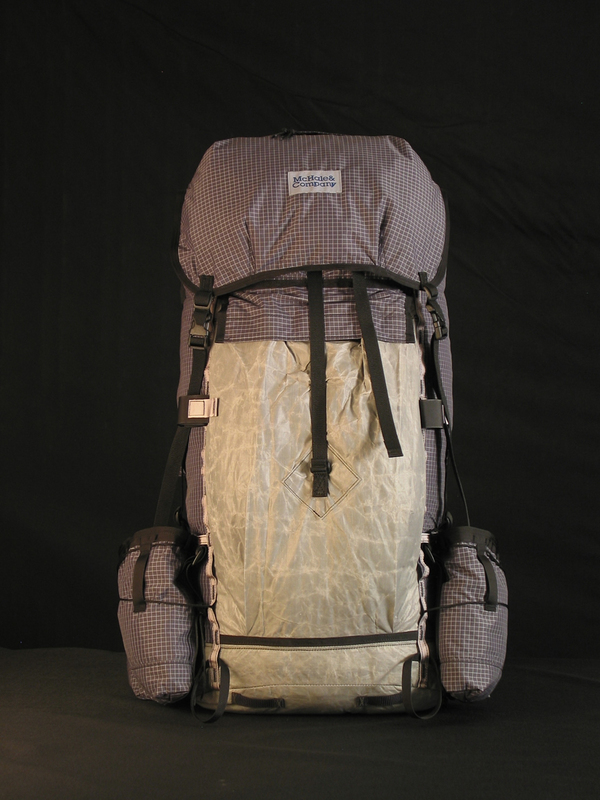 Volume: 3,800+ (volume for bag only) This bag is broadened enough at the upper half to carry a standard bear cannister (can) horizonally with a bit more room than the Chasm (41"). Carrying cannisters horizontally is more effective. 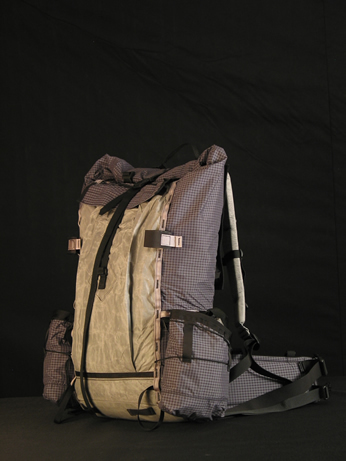 The pack bag then tapers back down at the bottom to a smaller circumference. Price: $895.00 in S-Sarc category. Includes Top pocket, Kangaroo Pocket, Water Pockets, Spectra Bottom. The Popcan can carry a normal bear cannister horizontally in it's upper half - but with some room to spare. Having extra room means the bag is less likely to wear when rubbed against objects. 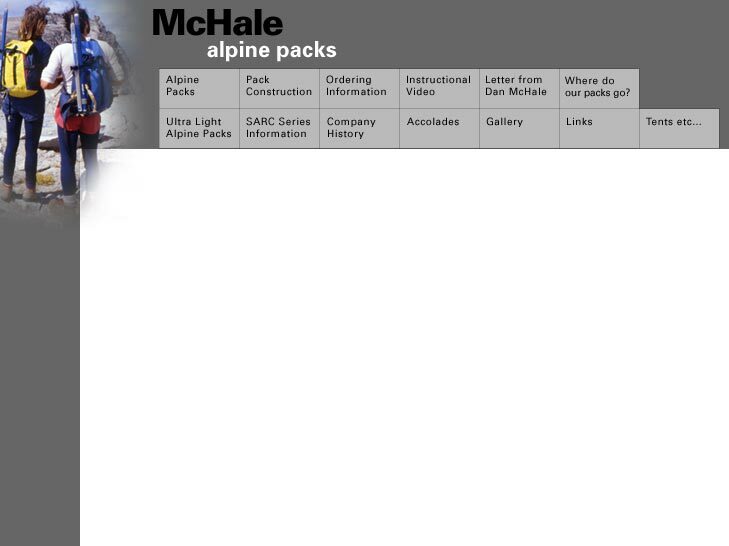 The pack in these pics actually has a Bear Vault cannister at the top. Kangaroo pocket has drawstring on its inside. Compression cords are not attached and are not necessarily needed for good pack function. Compression straps can be easily added or removed. Our strong twin 7075-T6 stays are included in price. $895.00 base price includes everything you need. A S-Sarc can already carry a cannister horizontally throughout it's length but is larger at the bottom than the Popcan. Consider that the construction quality is unmatched, as is the performance, and it is custom fitted to our specifications. This particular pack has full spectra shoulder pads which are rodent proof and smooth on the shoulders. There is also a full spectra bottom. Click on Popcan image above for blowup. 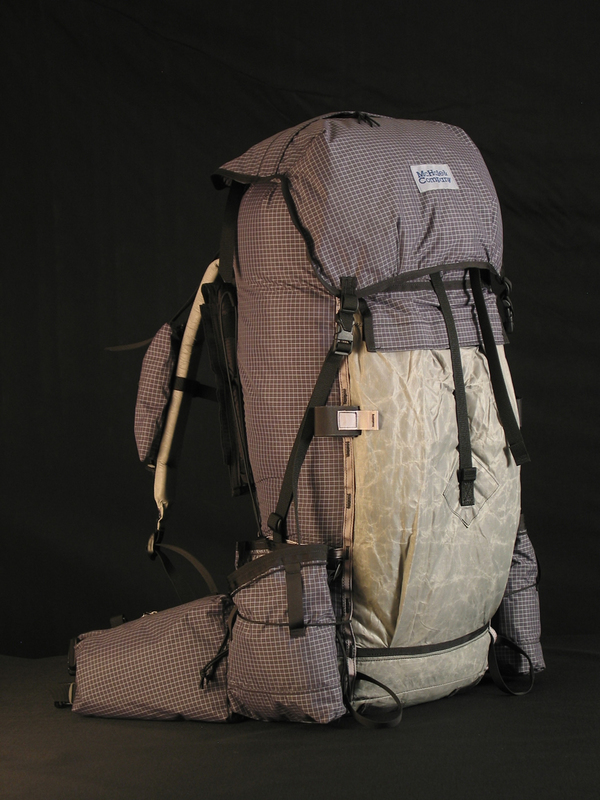 The pack above has a 42" upper and tapers to a circumference of 36" at the bottom. 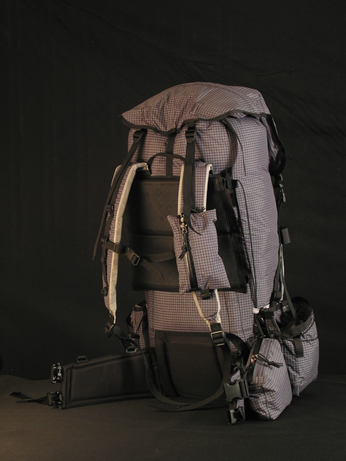 This particular pack example has gray Full Spectra rear Kangaroo pocket, bottom, and shoulder pads. Fabric: 170 light grid. Below: Converted to it's short roll-top mode without the upper frame stays or lid it weighs under 3 lbs.